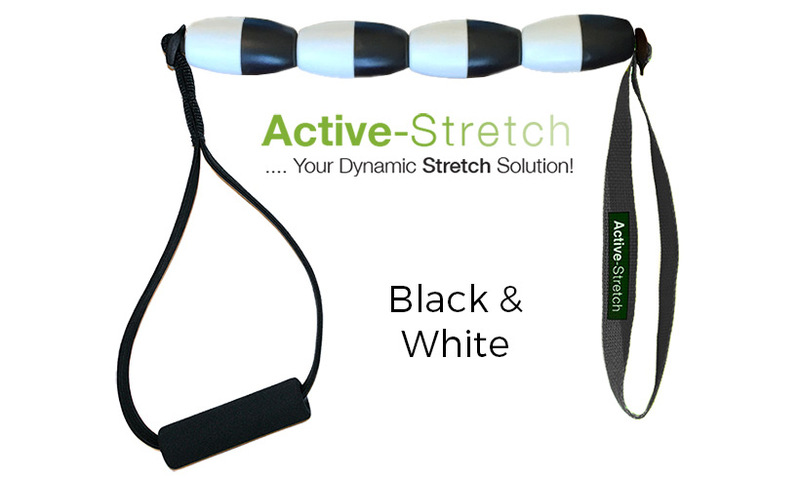 Active-Stretch was designed to be used as a warm up tool, using continuous motion, increasing heart rate and blood flow to the targeted muscle groups, and increasing range of motion. 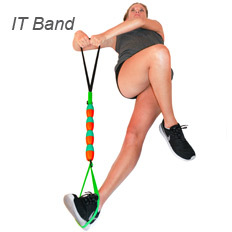 The perfect blend to load and unload acceleration while stretching through the entire range of motion which helps prevent over stretching and soreness. 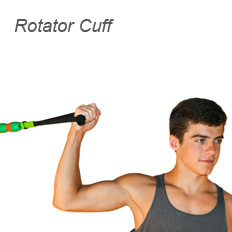 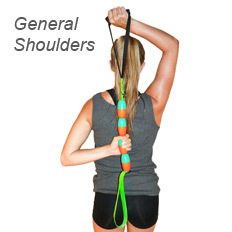 The middle ergonomic handgrips offer endless possibilities for stretching the total body. 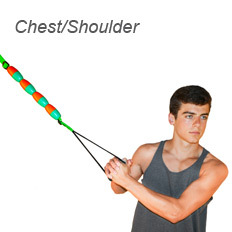 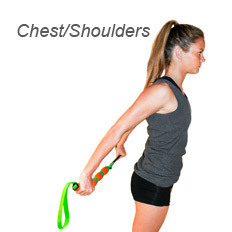 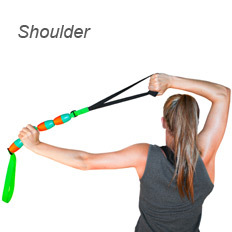 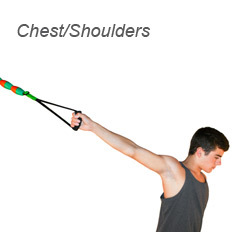 You can secure the static webbing loop to a fixed point and stretch the upper body. 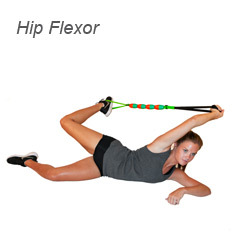 Active-Stretch is the perfect training tool for stretching and is one of the many components of to help maximize performance and prevent injuries. 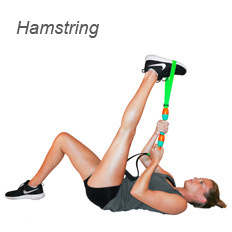 The consensus in Exercise Physiology is that it is more effective to warm up using dynamic stretching. 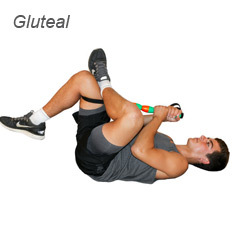 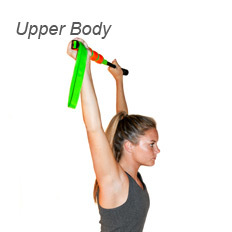 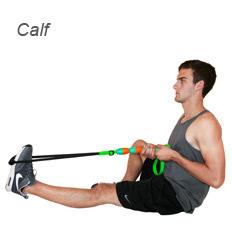 Wrap your foot through the static loop and pull your leg up by pulling on the foam handgrip on the elastic loop…. 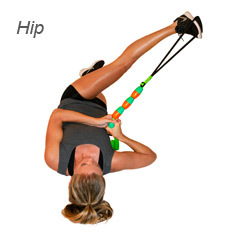 Or put your foot in the elastic loop and grab the most comfortable plastic handgrip to pull. 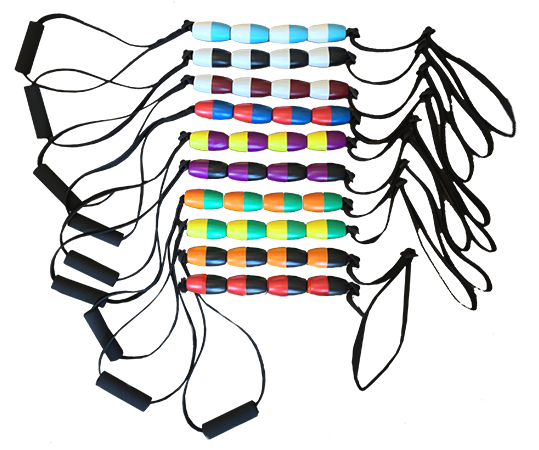 CUSTOM COLORS AVAILABLE, PLEASE CALL TO ORDER, WE STOCK BLACK/WHITE ONLY.